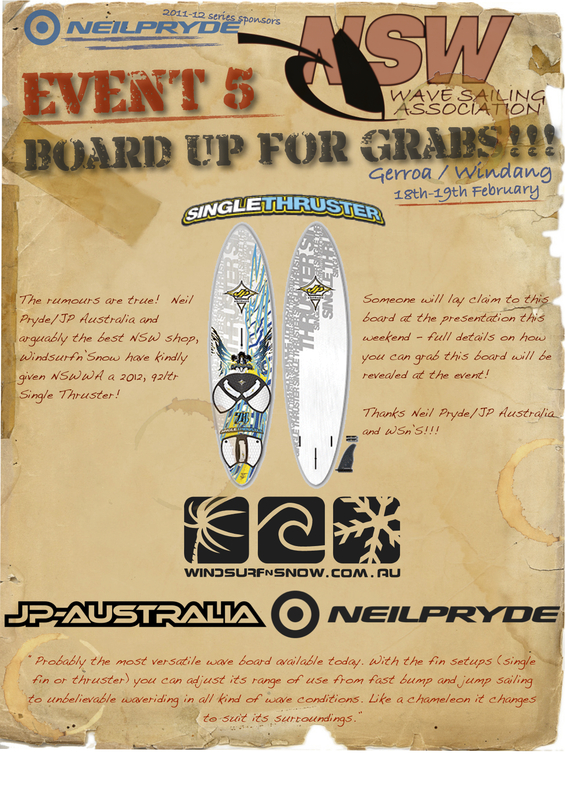 NSWWA Event 5 – JP board up for grabs!! Next NSWWA Event 5 – CHANGE OF SIGN ON LOCATION!! !